Can you believe we're already heading into the coming year? The time will seem to fly from this point forward, and before you know it, we'll be ringing in the New Year. And as we look ahead, it's always fun to think about what kinds of trends are gaining popularity. Kitchens remain one of the most popular spaces to remodel - and with good reason. If your home was built in the 70s or 80s, your kitchen is probably dark, cramped, and inconvenient for today's modern uses. Most homeowners are as excited about upgrading their appliances as they are about the designs, and high-end appliances are very popular, from smart fridges to Bertazzoni ranges. We also expect to see growth, in the next year and beyond, in the demand for quartz countertops. Why quartz? Quartz countertops are gorgeous but do not require nearly as much effort to maintain as marble or granite. 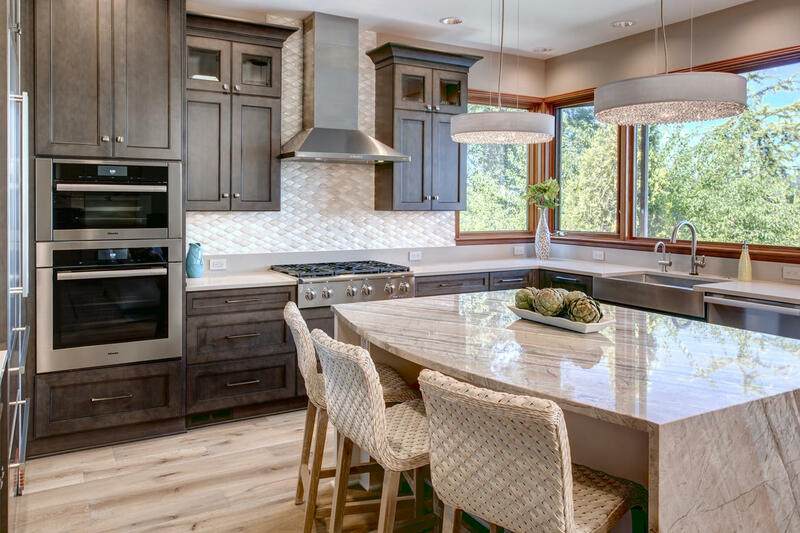 Other popular remodeling plans include incorporating outdoor entertainment with a connected outdoor kitchen, building extra eating and prepping spaces for easy entertaining, and creating custom-design cabinets to make the kitchen more functional and practical. Even as minimalism becomes a stronger trend, bigger closets do, too. It's not even a matter of having extra room to store more stuff; it's a matter of having a luxury space to organize our clothing, shoes, and accessories that often serves as a dressing room and wardrobe planning space. 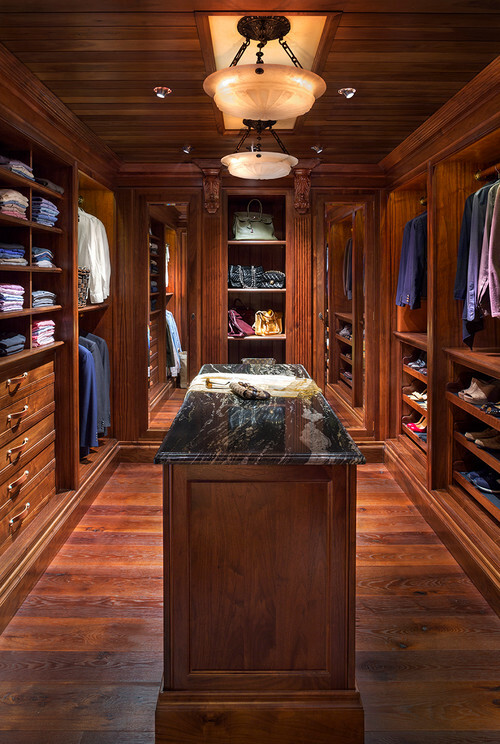 Extra-large walk-in closets are often part of the master bathroom remodel. Elements to consider: direct and indirect lighting, as well as space to truly walk around, try on clothes, and properly store clothing, shoes, and accessories. 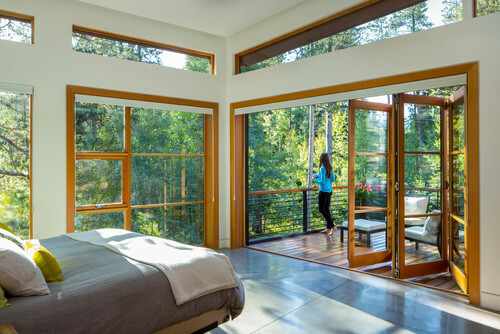 Photo by Blueline Architects p.c. Closets aren't the only thing getting bigger during home remodels. Whether your kids have left for college and you can finally combine two rooms into one, or you simply want your master suite to be a true escape, not just for sleeping but also for reading, writing, and relaxing, bigger master bedrooms and bathrooms continue to be a popular request. Think about what you do besides sleep when you're in your room, and then create the space that caters to you. 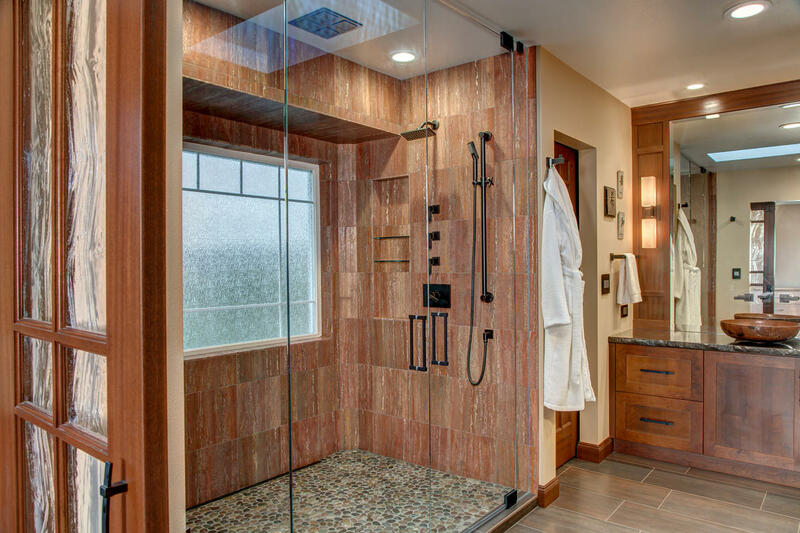 Because more people are remodeling their homes with the intent of living in them longer, we're often asked to remove tubs and replace them with walk-in showers, which is the practical side of what we do. But while we're there, we're also often creating luxury baths, enlarging shower space - adding heating elements in the floor, creating walk-in shower spas and benches, installing gorgeous faucets - and replacing ordinary cabinets and sinks with unique materials like stone slab countertops, unique basin designs, and high-end faucets. For pure luxury, consider adding a freestanding soaker tub. Houzz offers wonderful inspiration for soaker tubs. No matter what excites you about your next remodeling project, Nip Tuck Remodeling is ready to help you dream big and ensure that your project goes smoothly. Learn more about our process for helping you complete your project. Contact us. We'd like to hear what you're thinking. No matter what excites you about your next remodeling project, Nip Tuck Remodeling is ready to help you dream big and ensure that your project goes smoothly.